The Russian Orthodox Church Outside of Russia, that is, beyond the borders of the homeland, confesses itself to be an integral part of the Mother Church of Russia, which has nourished and nurtured the Russian nation and founded its culture and its great realm. It alone is able to speak in the name of the Church of the homeland. Before ordeals by fire descended upon the Church in Russia, the Lord, Who foresees all things, with His mighty arm led forth a small portion thereof beyond the boundaries of the Russian state, thus preserving its ecclesial liberty and complete freedom from subjection to any political power whatsoever in the world. The thirty-four Russian bishops who found themselves abroad, on the strength of the divinely inspired decree of His Holiness, Patriarch Tikhon and the Sacred Synod, dated November 20, 1920, established the Russian Church Outside of Russia, whose existence has continued to our times. 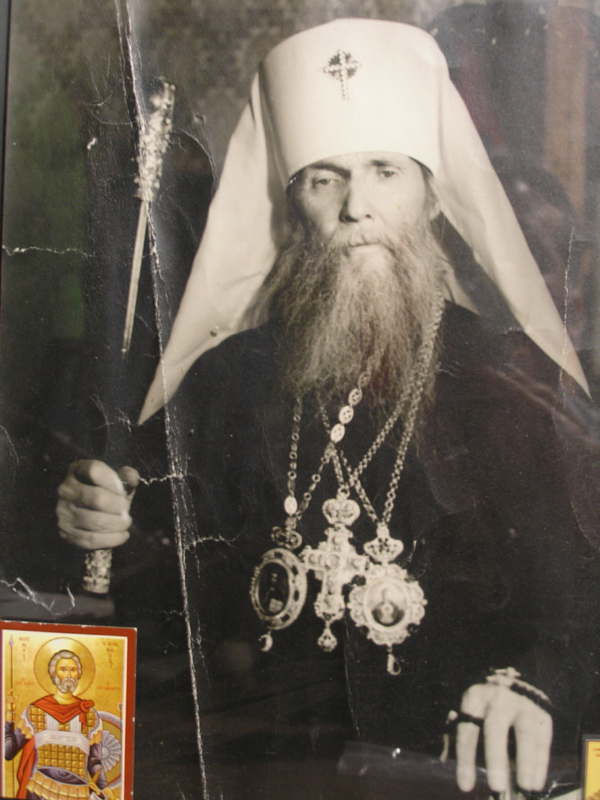 Its first head was Metropolitan Anthony of Kiev and Galich, who had been the prime candidate for the office of Patriarch at the Moscow Council of 1917-1918. Its second head was Metropolitan Anastassy, a member of the Pan-Russian Synod, and its third head, who still functions as such, is Metropolitan Philaret. At present, the Council, comprised of eighteen bishops, is the supreme authority of the Russian Church Outside of Russia. Without separating itself from the Mother Church, following her life with an attentive, loving and devoted gaze, the part of the Russian Orthodox Church which finds itself outside of Russia rejoices at her successes and grieves over her tribulations and trials. It knows and confesses that the life of the Church in the homeland, beginning with the year 1917, and even unto our own times, has been traveling a doleful, but glorious path – a path of martyrdom, of confession of the faith, of departure into the catacombs, of illegal existence, of war with militant atheism and the enslavement thereby of the pastors of the Church. At the height of the dreadful, bloody and God-hating revolution, many millions of Russian people, to safeguard their own safety, went over to the “Living Church,” cut themselves off from the Church, ignominiously rejected the faith of their ancestors, and even defected to the camp of the atheists and raised their children without benefit of religion. During this terrible period of apostasy, the Church, mindful of the words of the Savior: “In the world ye shall have tribulation: but be of good cheer; I have overcome the world” (Jn. 16:33), led to Christ a multitude of holy martyrs, fearless confessors, Orthodox Christians who suffered and were slain undeservedly for the faith. Their blood has washed away the infamy of the apostasy of their blood kinsmen. They became a voluntary sacrifice of purification for the sins of the nation. But those who fought against God celebrated their victory over their innocent victims. The meek tsar, who had been forsaken by everyone, they slew, as a symbol of the Orthodox realm; they put to death the pastors of the Church who held it together, as well as monastics and members of the laity, those who loved Christ – men, women and even innocent children. With subtle moral tortures, they committed murder, they desecrated, they shot down, they battered to death, they slew with starvation, with cold, and with onerous labors in death camps. Drunk on the blood of their victims, the tormentors reached the point of total insanity: they buried people alive, drowned them in rivers, cut out their tongues, hanged them in churches from the Royal Doors, murdered their wives and children. A single charge, was sufficient to result in execution: this is a servant of God, a believing Christian! The faithful went like lambs to the slaughter, mute, submitting to the will of God, even unto death. Nothing was able to separate them from their love for Christ, not tribulation, or distress, or persecution, or famine, or nakedness, or peril, or the sword (Rom. 8:35). This struggle illumined the Orthodox Church with new glory during those days of persecution; they became our glory, our victory, our joy. They departed from the Church Militant as conquerors and entered into the everlasting joy of the Church Victorious. But the Church of Christ is one, and both aspects thereof, earthly and heavenly, live a single life, through love for Christ alone! Gazing upon their feat, we suffered with them, we prayed for them. Yet more and more often the faithful inquired whether it was not time to pray to them instead of for them. For it was beyond doubt that they had already entered into the joy of their Lord. Each local autocephalous Orthodox Church canonizes its own saints by a resolution of its Council of Bishops, which follows the desire of the pastors and flock who believe in the sanctity of a martyr and who wish to pray to him in the common prayer of the Church. The Russian Church in the Soviet Union is not now able to do this, since it is deprived of the ability to speak its mind and to act according to its conviction. It is squeezed in the vice of the godless administration which has made the Church’s subjection its task, to be followed by its total annihilation. It does not have bishops who function and participate freely, who would promulgate an official act of canonization. They are silent. But the godless bear false witness before the whole world, that there were never any martyrs for the faith, that the believers of Russia’ enjoy complete freedom to confess the faith. And behold, that which no one else is able to do, the Council of the eighteen bishops of the Russian Orthodox Church Outside of Russia, as the least part of the whole Church of Russia, has brought to pass, not in its own name, but with fear and trembling, reverently venerating the blood of the martyrs. We joyously inform you, our brothers and sisters, that in New York City, on Sunday, 19 October/1 November, 1981, our Council of Bishops glorified with the saints the new martyrs and confessors of the Church of Russia, having been witness to the desires and prayerful aspirations of its own pastors and flock, as well as those of the dauntless confessors in the homeland. This is what one of them writes: “Do not set aside the glorification; do not be swayed from your purpose. The thought of glorifying the martyrs with the saints, with which God has inspired you, is witness to the fact that He has chosen you for this” (letter dated June 8, 1981). By the act of glorification, the Church gives expression to its love for the martyrs, its confidence that they are holy in the sight of the Lord, its veneration of their struggle, its desire to emulate it and to pray to them with love for help for us sinners. And in this prayer of love is realized that mystery of unity for which our Savior prayed, “that they all may be one; as Thou, Father, art in Me, and I in Thee” (Jn. 17:21). In this mystery Heaven is bowed down to the earth, those of earth are raised to Heaven, the martyrs’ prayers in our behalf are filled with our faith and love for them, and we are strengthened by their prayers. Through the glorification of the martyrs we are accounted worthy of the supreme aid of God through their prayers. And this aid is needful to all that wish to live in accordance with God’s commandments, especially for the Christians of our time who are persecuted and afflicted. Beloved brethren and sisters, let us pray zealously to those who are mightier than we and who are with us. They are vanquishing the world, despite the fact that they “had trial of cruel mockings and scourgings, yea, moreover of bonds and imprisonment… being destitute, afflicted, tormented” (Heb. 11:36-37). But those “of whom the world was not worthy,” as the Apostle (Paul) puts it, “received not the promise,” that is, the full blessedness and joy of everlasting life, awaiting us, as the same apostle says, “that they without us should not be made perfect” (Heb. 11:38-40). They are waiting for us! They are crying out to us to follow them! Having them as our intercessors, “let us lay aside every weight and the sin which doth so easily beset us, and let us run with patience the race that is set before us,… lest (we) be wearied and faint in (our) minds” (Heb. 12:1, 3). Holy new martyrs, and confessors, pray to God for us!